The 3 PATRIARCHS and the HOLY TRINITY . . .
True2Ourselves Forums > Community Topics > Theology > The 3 PATRIARCHS and the HOLY TRINITY . . .
We know that Abraham was promised a Holy Land and that his wife Sarah would bear him a son, eventhough she was barren in her old age. Abraham's name was changed from Abram to Abraham (which means FATHER OF MANY NATIONS). Here we see that there is a mystery of GENERATION being spoken of, ... that God would intervene to give Abraham a son so that Abram could become a "father to many nations". ... The promised land seems to signify the theological significance of Substance. Jesus Himself said, "All that the Father has is mine" in the Gospel of St. John. And Abraham was promised by God that he would have possession of this land and that his MANY sons would inherit it. Abraham received a visit by three angels, another allusion to the number three and to God, since this was a Theophany, a Divine Manifestation. Isaac and God the Son (Knowledge Personified, the Eternal Word) . . .
Isaac, we know, had a miraculous conception/birth of an old barren woman. This is a prefigurement of God the Son Who had a miraculous conception/birth of a young maiden virgin, the Blessed Virgin Mary. 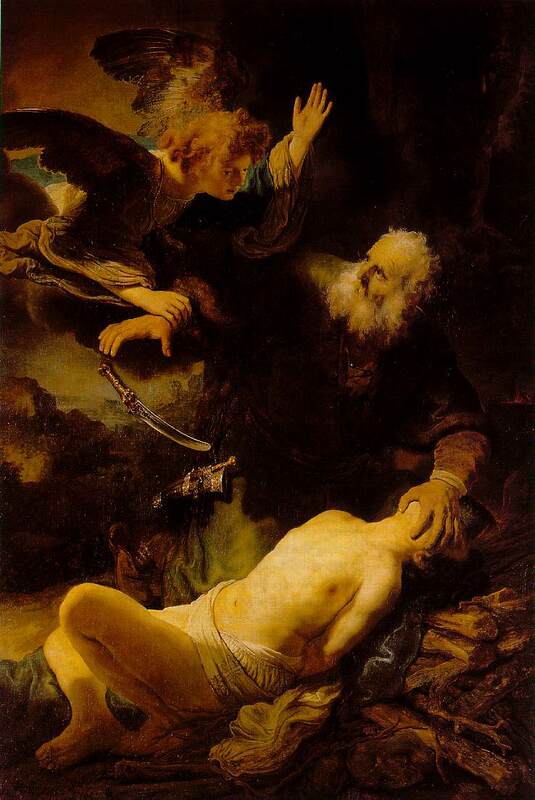 Isaac, we know, was offered up by Abraham as a sacrifice to God, in obedience to God, ... another obvious prefigurement of God the Son Who was GIVEN by God the Father for the salvation of the world and Who gave up Himself as an atoning Sacrifice on the Cross. The Bible also tells us that Isaac was received back as a symbol of the Resurrection in the Book of Hebrews. Clearly, Isaac is a Type of God the Son. Isaac, we know, was BLIND in his later years. This speaks to us of the mystery of KNOWLEDGE. In the bible, the eyes signify knowledge, ... This is interesting since God the Son is the Self - Knowledge (Word) of the Father Personified. Isaac, because of his blindness, could not KNOW who of his two sons he was giving his blessing to, a blessing that would carry on through all the generations of Abraham's descendants. It is through Isaac, not Ishmael, that the promise will be fulfilled. ... Here we have the word "THROUGH" ... it is THROUGH the Son that man comes to the Father and to the Kingdom of God. Jacob and God the Holy Spirit (Love Personified, the Eternal Breath) . . . The Holy Spirit is the Love between the Father and the Son . . .
How does Jacob typify Love Personified, the Holy Spirit? The Holy Spirit is the Will of God (which is Love) Personified, ... we see in Jacob's WILLINGNESS to work for 14 years for his beloved . . . an excellent type of the Holy Spirit. Jacob fathered the twelve tribes of Israel. This calls to mind how the Holy Spirit gives life to the Church founded upon the twelve Apostles. Jacob's name was changed to Israel, which means STRUGGLE WITH GOD. It is in the Holy Spirit that we fight the good fight and realize that WITH GOD all things are possible. Israel, as a whole, typifies the Church of Christ, the New Israel, and the TEMPLE OF THE HOLY SPIRIT. What do you think? ... Are the Three Patriarchs a sign from God that God is Triune? Is the God of Abraham, the God of Isaac, and the God of Jacob ... the Father, the Son, and the Holy Spirit? What do you say? Last edited by AHJE : 05-27-2013 at 03:13 PM. Re: The 3 PATRIARCHS and the HOLY TRINITY . . .
AHJE: Why are there 3 Patriarchs and not 2 or 4? All three are called that because of the covenants God made with them. Ishmael was the son of Abraham, and is blessed on that account; but Isaac was the child of promise and had his own covenant with God. Similarly Esau was eventually blessed, but God's covenant was with Jacob. They are all three "fathers" then since the covenants included their children. How three people called "fathers" demonstrates something about the trinity seems quite a stretch to me. It seems desperate even. If you can't come up with something more convincing than this to justify your belief in the trinity, perhaps you should reconsider your position. Should I have said, 3 Chief Patriarchs? Also, ... aren't you forgetting that Jacob's name was changed to ISRAEL? Also, ... why when God revealed Himself to Moses on Mount Horeb God did not say "I am the God of Abraham, the God of Isaac, the God of Jacob, and the God of Judah, the God of Joseph, the God of Benjamin, etc. ? Last edited by AHJE : 05-27-2013 at 08:29 AM. For me, ... it is not so much a matter of proving anything, ... I see it as an awesome meditation on something I already believe in. ... Although, typologically speaking, I find it very very compelling. How can you not? Last edited by AHJE : 05-27-2013 at 11:20 AM. 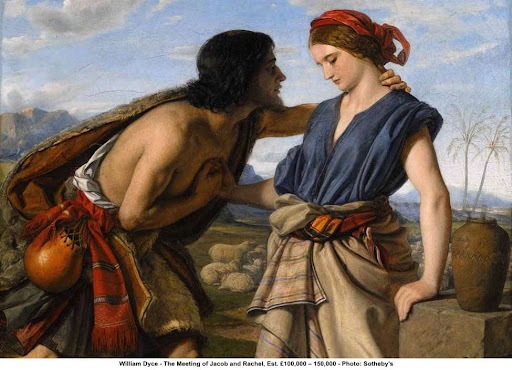 Mysteries of the Bible on Abraham [and Isaac]. . .
Last edited by AHJE : 05-27-2013 at 02:39 PM. WOW, ... try to view the above videos in the light of the OP! Instead of starting with what you already believe, would a better starting place be at the bottom assuming that you know nothing? If you want to talk about what God said at Horeb, four fathers or ancestors of Moses are named there.